The rollout for SpaceX’s most powerful rocket, the Falcon Heavy, has been handled with a nearly concerning level of nonchalantness. On July 27th, Elon Musk announced on Twitter that its maiden voyage will be sometime this November. Now, the SpaceX founder and self-proclaimed Boring Person has released an animation showing the rocket launch on his Instagram. The humans enjoy social media, and so Elon does, too. “Lot that can go wrong in the November launch...” Musk cryptically wrote in the caption of the video, which appears to be a re-release of an animation that SpaceX first out in 2015. 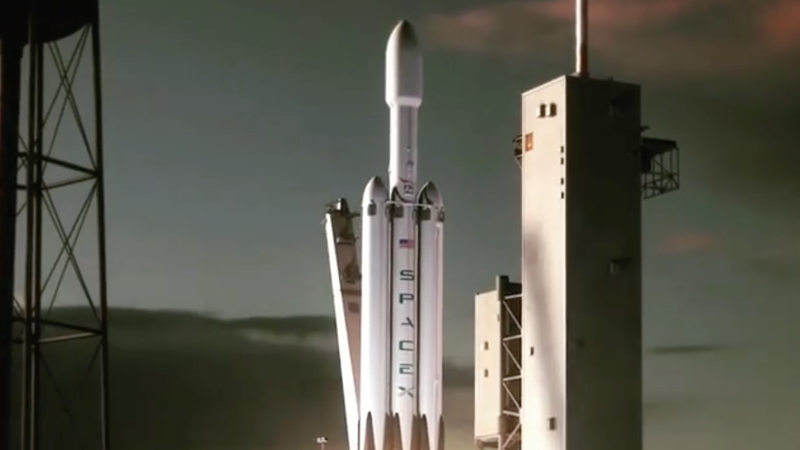 According to SpaceX, the Falcon Heavy—which it’s touting as “the world’s most powerful rocket”—will be able to lift 119,000 lb (over 54 metric tons) into orbit. It has three first-stage boosters that will be entirely reusable if all goes according to plan. Musk has previously said that he doesn’t expect the first Falcon Heavy mission to reach orbit, which is not exactly the vote of confidence you’d like to hear for a giant rocket. But seeing as this maiden launch has already been plagued by delays (its was initially planned for 2013), it’s probably good Musk is keeping our expectations tempered. On Twitter, Musk elaborated on some of the other details, like where the rocket will land after it launches from the recently-refurbished pad 39A at Kennedy Space Center. While there’s still a lot we don’t know about the Falcon Heavy, one thing’s for sure: we’ll probably know more next time Ol’ Musky’s on one of his incoherent Twitter storms. Correction: An earlier version of this post’s headline said that the animation was ‘new.’ As pointed out by a commenter, it seems to be a new edit of an animation that’s been around for several years. The headline and text have been updated to reflect this.